MusicCast. Your Home of Sound. MusicCast is a revolution in whole-of-home audio. Use all your MusicCast products together or separately - it’s completely up to you. Control it, all from one app, designed to be intuitive, quick and simple to use. Use a soundbar, a wireless speaker, an AV Receiver, Hi-Fi audio whichever suits you best, mix and match then expand your MusicCast system as time goes on. The YSP-2700 focuses beams of sound and reflects them off walls to create 7.1 channel surround sound from a single Bar. The listening area is expanded so you enjoy an extremely powerful, natural sense of presence unobtainable with virtual surround methods. The YSP-2700 is equipped with 16 x 2.8 cm high-quality array speakers which combine to create focused beams of sound. It optimises the layout of its array speakers, boosting the reflection properties of the beams to maximise sound quality. The centre unit is made from aluminium with outstanding rigidity. The top cover is a thick aluminium panel with a luxurious, brushed finish. The subwoofer has a simple design that blends nicely with any interior. With a height of only 51 mm, the low-profile Sound Bar can be placed in front of a TV without blocking the picture. The minimalist design and aluminium chassis will definitely add a sophisticated accent to your decor. The subwoofer eliminates the need to connect cables, so setup and placement are faster and easier. This is a versatile subwoofer that delivers powerful, high-quality bass. MusicCast employs a high-performance wireless network to deliver music and audio enjoyment. It can stream digital music content from your smartphone, PC or NAS to other MusicCast devices in your home. It can also share the music from external devices such as a TV or Blu-ray Player connected to the YSP-2700. Audio content from Bluetooth smart phones or tablets can also be streamed to MusicCast devices in multiple rooms. Yamaha’s IntelliBeam™ calibration system automatically sets the perfect listening environment. All the user has to do is follow step-by-step instructions via the on-screen menu. The system measures the room's acoustic properties such as size, shape and wall material, then adjusts the beam angles, focal lengths, volume and other audio parameters. 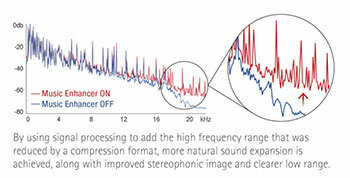 The result is precise sound optimisation for any size or shape room. 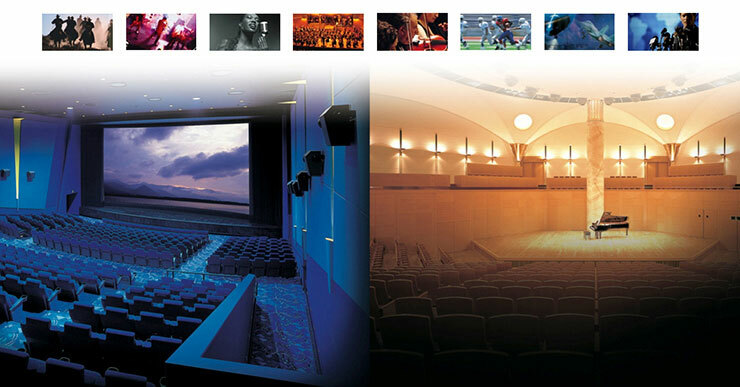 Yamaha CINEMA DSP programs are based on actual sound-field data, measured in famous concert halls, jazz clubs, live performance venues and theatres. The result is an amazingly spacious and realistic sound field experience for enjoying music and viewing movies in your living room. The YSP-2700 features 10 different sound programs for selection. You can play music from music apps, radio apps, or YouTube video hosting services. The YSP-2700 is equipped with the latest Bluetooth technology, making wireless operation more convenient than ever. You can stream music from the YSP-2700 to Bluetooth headphones for private listening or to Bluetooth speakers. The Compressed Music Enhancer restores frequency response lost during digital compression, so your music sounds the way it should. It is optimised for any compressed content, for vivid, lively sound quality during wireless playback. The function can be switched on and off via the remote control, according to the input source. The YSP-2700 has 3 x HDMI input terminals and 1 x HDMI output terminal, and supports 4K 60p video signal pass-through. MusicCast is a revolution in whole-of-home audio. Use all your MusicCast products together or separately - it���s completely up to you. Yamaha���s IntelliBeam��� calibration system automatically sets the perfect listening environment. All the user has to do is follow step-by-step instructions via the on-screen menu. The system measures the room's acoustic properties such as size, shape and wall material, then adjusts the beam angles, focal lengths, volume and other audio parameters. You can hear all the music sources from your smartphone via wireless Bluetooth�� or AirPlay�� connection. It���s also compatible with HDCP2.2 digital copy protection. This gives it extensive expandability, so you���ll be able to use it far into the future.